About Hawaii Insurance Bureau, Inc. 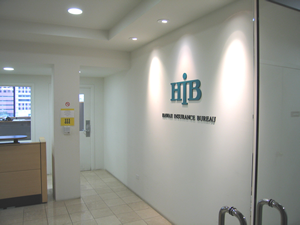 The Hawaii Insurance Bureau, Inc. (HIB) is an independent, non-profit corporation, operating as an advisory organization. A Board of Directors elected by member companies governs the HIB operation. HIB services approximately 300 property and casualty insurance companies located in the State of Hawaii and the continental United States. On behalf of these companies, HIB prepares and files rules, forms and loss costs with the State of Hawaii Insurance Division. HIB has been serving Hawaii's insurance industry for 120+ years. Over the years, the Bureau has undergone several transformations. On July 18, 1918, upon the suggestion of the Territory of Hawaii's Insurance Commissioner, the Hawaii Rating Bureau was formed to take over the function of the Board of Underwriters organized in 1880. In 1947, following the passage of the Hawaii Insurance Rate Regulatory Law, the name of the organization was changed to the Hawaii Fire Rating Bureau. Successive changes in both 1969 and 1990 resulted in the establishment of the Hawaii Insurance Bureau, Inc. In 2010, through an administrative service agreement, Direct Business Connections, Inc. (DBC) began providing all of the administrative services for the Hawaii Insurance Bureau, Inc. (HIB). Facilitating educational seminars associated with our products and services.